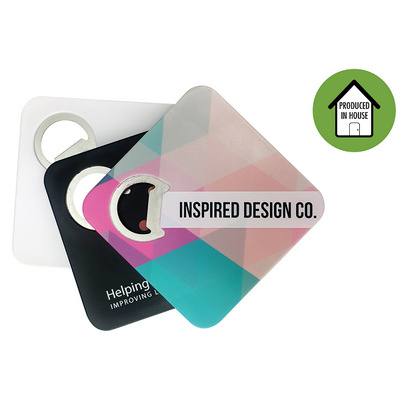 SALE: Very popular and stunning in design these full colour print coasters double as a bottle opener. Price includes full colour customised print. Free Set Up. Only available in white locally. Price includes: Full Colour Print. Setup is included.